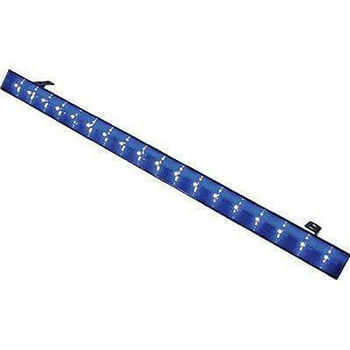 Ultraviolet light (also known as blacklight) is a classic lighting effect, brought right up to date with our amazing LED powered units. Our UV lights are powerful enough to work even with subtle ambient room lighting, whereas other UV lights would require complete darkness to give any effect at all. 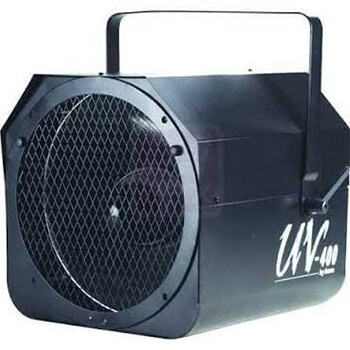 This Blacklight cannon 400W is always a hit at parties! It lets all white objects and clothing light up in a blue colour. A product that can’t be missing in a collection of light effects! 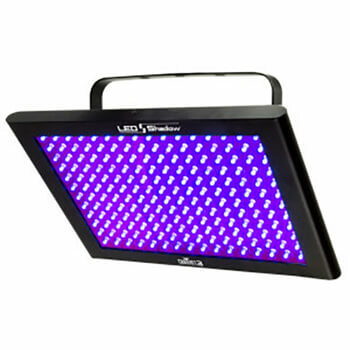 The LED Shadow is a blacklight panel wash that delivers stunning blacklight effects. Built-in auto programs allow the LEDs to flash and strobe in patterns. These are also DMX compatible. UV Parties are popular for large club nights and we can now provide amazingly powerful UV lights for you to create your own UV party. 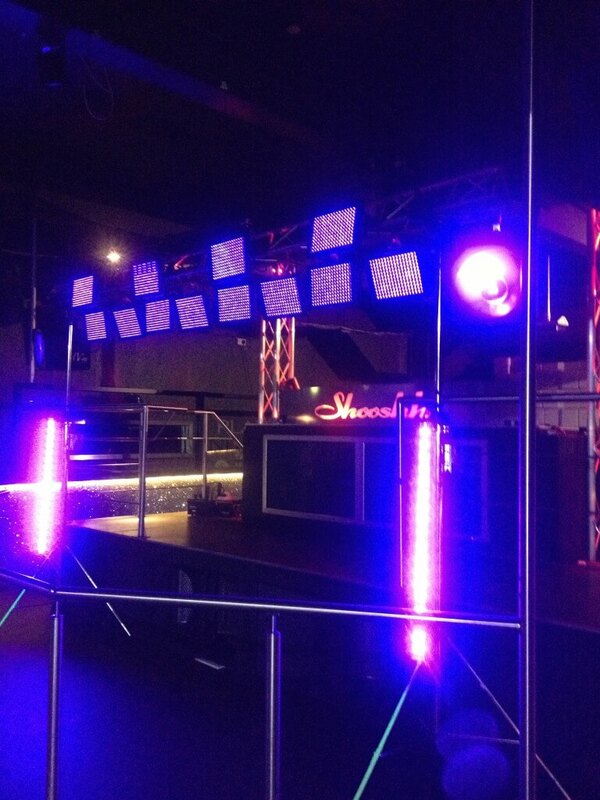 Our UV lights can be used at any of the following types of venue: We can offer this service in London and Surrey. We can offer this service further afield at a small travel cost.